Near Perfection is a carrier oil blend that is an excellent addition to your skin care routine, whether you want to mix it with your favorite essential oils, or use it on its own. All of the oils in this blend are super hydrating and soothing to the skin. This blend works particularly well for anyone suffering from skin irritations such as dehydration, eczema, dermatitis, and any small blemishes. It is an excellent oil blend to use as a full body oil. 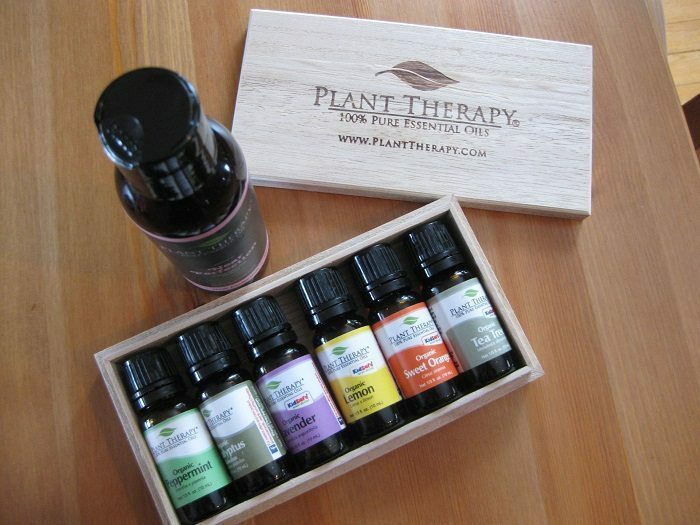 Plant Therapy is a leader in the aromatherapy and essential oil industry. As a family run company, they put quality, safety and customer satisfaction as the forefront of their business. The beginning stages, before productsare putonto the market, Plant Therapy has strict standards that truly set them apart in quality. Plant Therapy works with a world-renowned aromatherapy expert, Robert Tisserand. 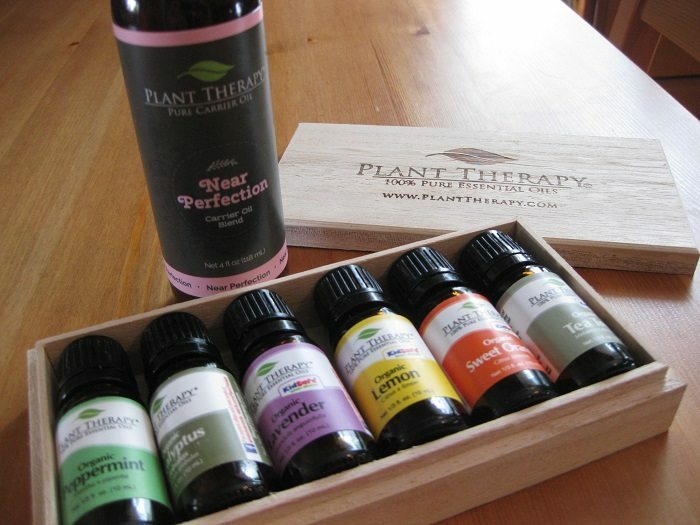 Recently I received a package from Plant Therapy, a company that makes outstanding essential oils and carrier ﻿﻿oils. I have been using these oils daily in my diffuser, and topically blended with the Near Perfection carrier oil. 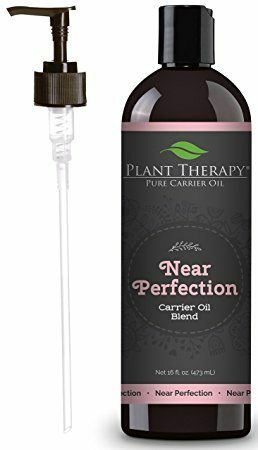 In this article, I would like to feature the Near Perfection Carrier oil. This blend has a variety of beneficial oils that will work to soothe and hydrate the skin. You can choose to add essential oils to this blend or apply it on its own. My first impression was that this blend had some of my favorite oils in it. I knew the combination of nourishing oils would be amazing for the skin. The scent is very light and not overpowering. The Tamanu ﻿﻿oil is the dominant scent, a little nutty and earthy. A beautiful scent. Near Perfection carrier oil applies very smooth to the body. The oil doesn’t absorb too quickly into the skin, making it great for a ﻿﻿massage ﻿﻿oil. If you are using it for a hydrating, repairing body oil, apply less at a time and rub it in well. After the oil absorb, there is no left over residue and the skin feels velvety soft. I love to apply Near Perfection after a shower to my legs and arms. I add a drop of Lavender oil to my palm, blending it with Near perfection and apply it to my whole body. 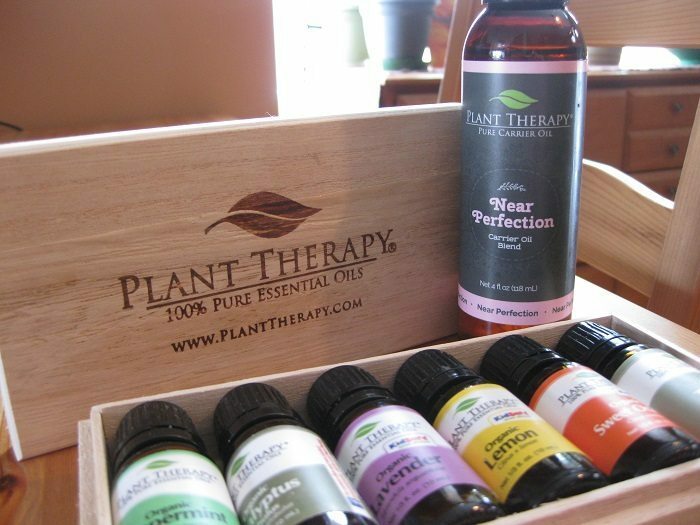 Plant Therapy makes amazing essentail oil kits to add to your carrier oil! Almond oil, Jojoba oil, Avocado oil, Tamanu oil, and Vitamin E oil. ​Almond oil: Almond oil is an excellent emollient which softens and reconditions the skin. It penetrates easily and can soothe dry, irritated areas. Excellent for all skin types. ﻿﻿﻿﻿Jojoba oil﻿﻿﻿: provides lasting hydration, controls sebum production. Has high content of essential fatty acids and antioxidants helping fight free radicals. ﻿﻿﻿﻿Avocado oil﻿: Rich in Omega-3, ideal in the prevention of aging skin. Highly moisturizing and improving elasticity. ﻿﻿﻿Tamanu ﻿oil: A powerful anti-inflammatory and anti-microbial. Provides a natural SPF for the skin and helps promote new skin cells. Ideal for all skin types. Great for dehydrated, irritated skin. Near Perfection Carrier oil works very well. As a carrier oil for essential oils, this blend absorbs deep into the skin. As a body oil, it helps combat dry, irritated skin. This blend is super rich in fatty acids and moisturizing properties. Near Perfection is a great choice for anyone looking to really improve their skin. Comparably to other carrier oils, Near Perfection is not just a single oil, it is loaded with the best repairing oils for the skin. The blend really stands out as a nourishing, hydrating full body oil. I like that there is a product that combines all theses oils together, making a powerful, reliable blend. Plant Therapy makes some of my favorite products, Near Perfection is for sure one of them. As I said before, this blend has the best oils all in one. Near perfection is great for both at home use or in your professional massage practice. This product is designed to work on all skin types, but will really improve dry, irritated skin. You will love this oil blend in the winter. The best feature this carrier oil has, is it will not leave you feeling greasy. All 5 of the oils absorb nicely into the skin, leaving you smooth and soft. Near perfection glides easily over the skin and you don’t need to keep reapplying it. The scent is not overpowering, in fact it is very light, and should not bother clientele or if you are using it personally. You can also spruce up the scent with your favorite essential o﻿﻿ils. Please leave any questions you may have in the comments below  And Share this article with someone who could benefit from Near Perfection! To a Bright and Beautiful you,Maria.